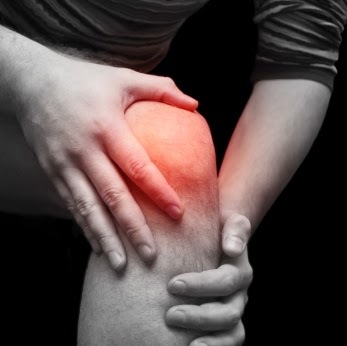 Knee inflammation can be caused by a mild injury, a serious injury, arthritis, or bursitis. In addition, knee inflammation can be related to excess fluid in the knee joint, that can lead to decreased mobility and pain if it is not properly treated. Inflammation in both knees could indicate a systemic medical condition such as rheumatoid arthritis. When a knee injury occurs, diagnostic medical tests are recommended to determine the nature and severity of the injury. A conventional x-ray can detect an injury to the knee cap, but it is usually ineffective in detecting injuries of the cartilage, muscles, and tendons. In cases of severe crushing injuries, surgery may be necessary to repair the damage. When a knee injury occurs, prompt medical evaluation and treatment generally results in a better prognosis. Arthritis is one of the primary causes of knee inflammation. Either osteoarthritis, the most common form of the disease, or rheumatoid arthritis, a more severe form, can lead to an inflamed knee. You may feel a significant amount of stiffness in addition to the inflammation. Your tendons are cord-like tissues that connect bone and muscle. Knee tendinitis, which results in inflammation, can result from an injury to your knee or from overuse. To treat knee tendinitis, you should avoid any activity that led to the problem and use anti-inflammatory gels and medications. This common injury occurs when you suffer a tear in the rubbery tissue, or cartilage, that helps cushion your knee. The tears might result from strenuous activity, such as skiing, or from the breakdown of the meniscus due to aging. Surgery might be required in some instances, although rest, physical therapy and home treatment may allow you to recover, depending on the seriousness of the tear. The small fluid-filled sacs that help lower the amount of friction between your bones and your muscles and tendons are called bursa. Bursitis occurs when the bursa in your knee become inflamed. The condition most commonly occurs in the bursa that lie directly over your kneecap.